Why Do the Cleveland Indians Want Johnny Damon? This is old news in today’s world but Johnny Damon signed a deal with the Cleveland Indians for $1.25M with another possible $1.4M in incentives. MLBtraderumors writes that deal includes a full no-trade clause and would allow Damon to “explore other opportunities” if he loses playing time if or when Grady Sizemore returns from injury. Where Did Damon’s Patience Go? 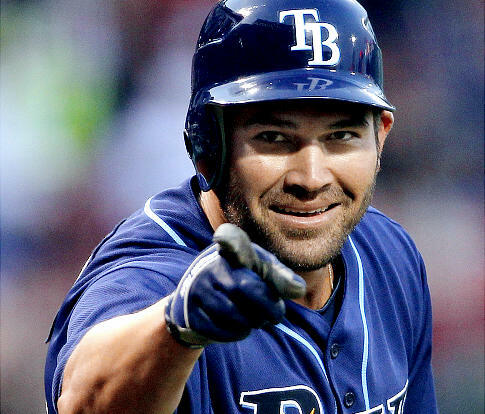 Johnny Damon, the Rays primary Designated Hitter is doing a much better job than previous DHs in recent Rays history at hitting for average, power, and stealing bases but he has a ways to go to catch up at getting on base, which is odd because that has been a major part of his offensive repertoire for his career. Damon’s overall performance so far sits at .260/.296/.442 with a miserable 4.3% walk rate. Damon’s career walk rate is 9.2% and he has had five consecutive seasons of double-digit walk rates including back-to-back career best marks of 11.3% in 2009 and 2010. The Rays, who paid for this on-base skill are not getting it. Sure, they are getting a power and speed resurgence from Damon thanks to his 7 homeruns and 5 stolen bases in 164 plate appearances (he had 8 homeruns and 11 stolen bases in 613 PAs last year) but the .296 OBP is inexcusable for a player who has hit #2 or #3 for most of the season. So, what is Damon doing differently? He’s not seeing more strikes. He has seen 46% of pitches in the zone this year compared to 51.8% for his career. He’s not seeing more first pitch strikes either, 52.4% compared to 54.7% for his career. What he is doing is swinging… a lot. Damon is swinging at 51.4% of all pitches thrown to him compared to just 43.8% in his career. He is only seeing 3.88 P/PA (pitchers per plate appearance) compared to 4.05 for his career. That includes a 75.1% Zone Swing rate compared to just 65.3% for his career and most notable is his 31.2% Out-of-Zone Swing rate compared to his 20.7% O-Swing% for his career. That last number is hugely inexcusable for him and a large reason he has swung and missed at 8.3% of pitches compared to his career mark of 5.9%. Now that I am done thrashing Damon’s plate discipline I bring some good news: Damon is due to bounce back. A player with a career as prolific as his is bound to correct his form. No, I do not have any statistical evidence to prove that Damon will correct it other than looking at his past which presents plenty of evidence that he is, in fact, a disciplined hitter. While physical traits like bat speed and leg speed may regress as a player ages, plate discipline is not a physical trait, it does not disappear with age. 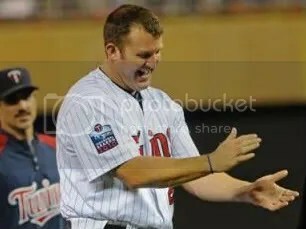 Damon’s BABIP currently sits at .268, almost 40 points lower than his career mark of .307 but that has to do with his lack of discipline and swinging at bad pitches, not luck. Once he harnesses that discipline Damon should put up the best DH numbers they have seen in years. The Legend of Sam Fuld is something that is sweeping the Rays fan base and is a popular tag on Twitter right now. Sam Fuld Eats Chick Fil-A on Sundays. The Red Sox check under their bed for Sam Fuld. Sam Fuld is bored by The Most Interesting Man in the World, who bows whenever Sam Fuld enters the room. Sam Fuld routinely puts Baby in a corner. Sam Fuld made Murray Chass like bloggers. Sam Fuld once let a ball drop in the outfield just to see what it felt like. Sam Fuld was walked while in the batter’s box. Sam Fuld can delete the Recylce Bin. Sam Fuld does not dive, he flies. Most of those very true statements were where most of the population’s Legend of Sam Fuld began, but not mine. The legend started for me when Sam Fuld got his first start of the season on April 3rd and threw Orioles shortstop J.J. Hardy out at the plate with a perfect throw that beat Hardy by close to a mile. 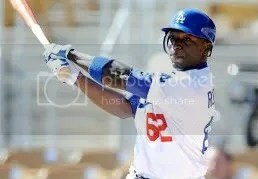 He wouldn’t start again until April 6th when he 2-3 with a double and a stolen base. His bandwagon gained a few that night. That same night I wrote my first piece for DraysBay titled “Is It Time To Replace Dan Johnson?” My replacement idea had Johnny Damon moving to first base and Sam Fuld getting the playing time in left field. The post went on to get 263 comments, most bashing me for wanting to bench Johnson and some for me wanting to play Fuld, but there were a few who were on the Fuld bandwagon already. Now it’s April 7th, the day of my post, Fuld goes 1-3 with a walk at the plate and steals 3 bases! The bandwagon tripled in size that day. Some still believe Sam Fuld to be a myth. Skip ahead to April 9th. Fuld will end the day 1 for his last 9 including the game on April 8th and today’s game but he makes what might be the best catch of the season, erasing everyone’s memory of his 1-9 mini-slump and momentarily allowing the Rays fan base a glimmer of something to cheer about. Now jump to last night, April 11th, the day that will forever be remembered as April Fuld’s day, where on national television the Legend of Sam Fuld breaks wide open on ESPN against the Red Sox and the bandwagon becomes overflowing with new fans. Fuld goes 4-6 at the plate with a homerun, a triple, two doubles, and another great catch. 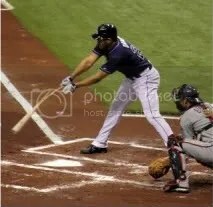 The Legend hit its high point when Fuld needed only a single to become the 2nd Ray to ever hit for the cycle and put his name in the Rays history books. In his last at-bat he laced a line-drive down the leftfield line and rather than stopping at first to collect his “cycle” he strolls into 2nd with a stand up double, erasing his name from the Rays history books but embedding it in our minds and in our hearts so that one day, sitting in a rickety rocking chair, telling our grandchildren stories, we can recall the Legend of Sam Fuld, allowing it to live on forever rather than fade away and deteriorate on dead trees.